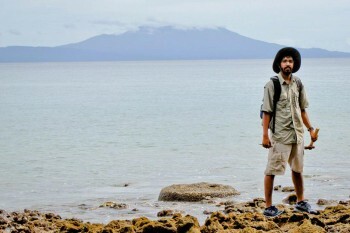 Ph.D. student Kaustubh Thirumalai in the Western Province of the Solomon Islands. 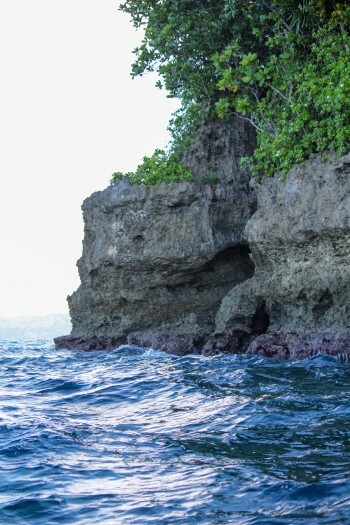 Researchers have found that parts of the western Solomon Islands, a region thought to be free of large earthquakes until an 8.1 magnitude quake devastated the area in 2007, have a long history of big seismic events. The findings, published online in Nature Communications in June 2015, suggest that future large earthquakes will occur, but predicting when is difficult because of the complex environment at the interface of the tectonic plates. The terraced cliff is a sign of uplift. Each notch was formed by sea erosion. The team analyzed coral for the study. The coral, in addition to providing a record of when large earthquakes happened during the past 3,000 years, helped provide insight into the relationship between earthquakes and more gradual geological processes, such as tectonic plate convergence and island building through uplift. 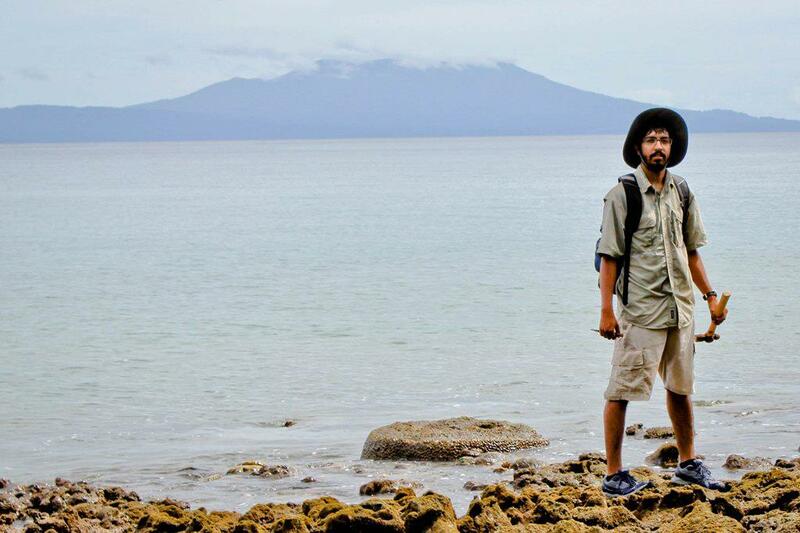 “We’re using corals to bridge this gap between earthquakes and long-term deforma­tion, how the land evolves,” said lead researcher Kaustubh Thirumalai, a doctoral student at the Institute for Geophysics. The 2007 event was the only large earthquake recorded in 100 years of monitoring the region that started with British colonization in the 1900s. The researchers found evidence for six earthquakes in the region during the past 3,000 years, with some being as large as or larger than the 2007 earthquake. “If we have 100 years of instrumental data saying there’s no big earthquakes here, but we have paleo-records that say we’ve had something like five giant ones in the last few thousand years, that gives you a different perspective on hazards and risk assessment,” Thirumalai said.